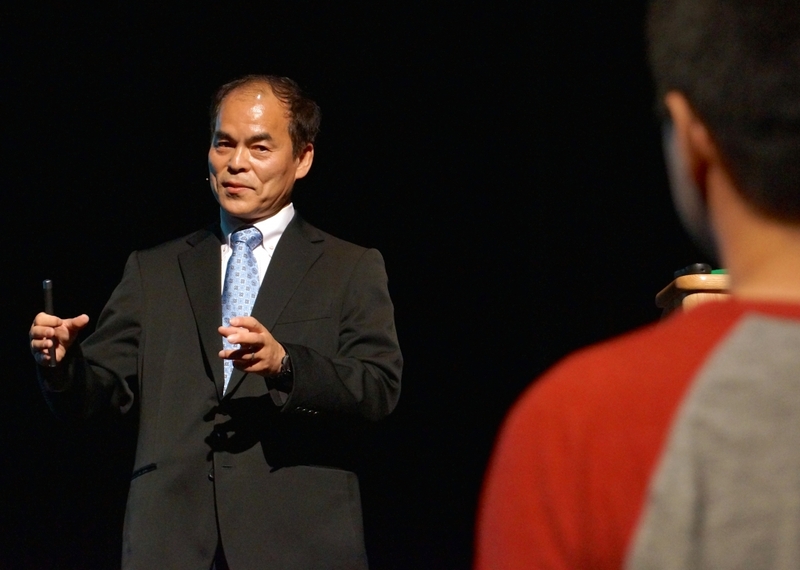 Professor Shuji Nakamura speaks to a rapt crowd in a public lecture that covered the technology and innovation behind his Nobel Prize-winning invention of the bright blue LED. 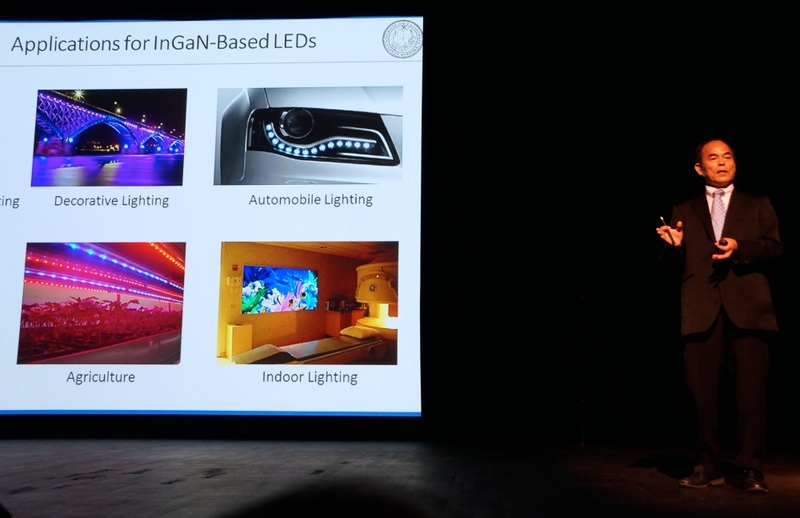 Shuji Nakamura points out the many uses of high-efficiency and versatile LED lighting. 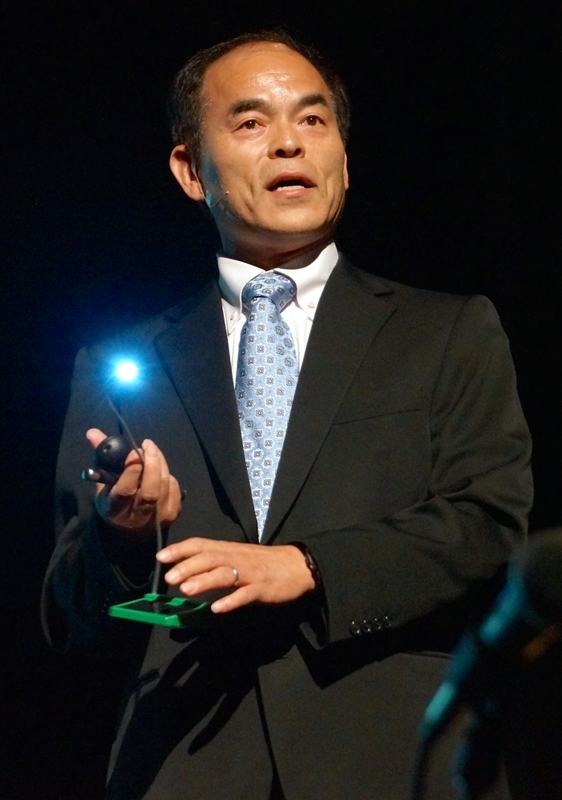 “It was very simple, no?” joked Nakamura, downplaying the sheer amount of effort it took to go from being an engineer with an idea at a small Japanese company to becoming the inventor of the bright blue LED, an innovation that led to the white LED and a global revolution in energy efficiency. While LED lighting has been in use since its inception in the 1960s, the technology had limited application, which grew as more light-emitting diodes were developed in different colors of the spectrum. For decades, the blue LED remained elusive and the most difficult to create until 1993, when Nakamura debuted his blue LED, demonstrating the brightest blue light that had been developed at the time. 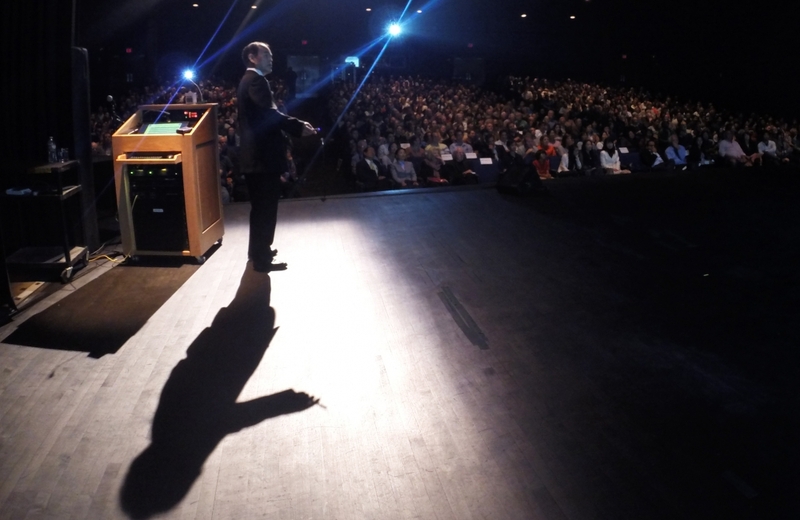 Today, LED lighting is ubiquitous, from screen displays to interior lighting. Coupled with solar cells, white-light LEDs have been fashioned into durable, clean-burning, energy efficient and economical light sources for schoolchildren in poverty-stricken off-the-grid environments by the UCSB-affiliated nonprofit Unite to Light. There’s more to come, said Nakamura. 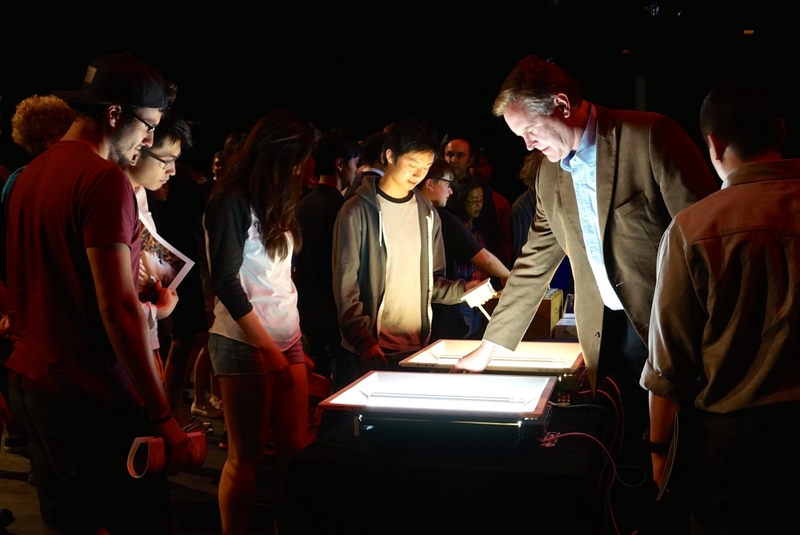 Laser-based solid state lighting, the subject of ongoing research and development at SSLEEC, promises to be the next generation of energy efficient powerful lighting, he said, using even less material and delivering more light. Meanwhile, materials professor Steve DenBaars, who is also co-director of the campus’s Solid State Lighting and Energy Electronics Center (SSLEEC), announced that, in response to the need for better lighting in Isla Vista, he and Nakamura will be donating personal funds to an effort to bring LED lighting to the streets of the nearby community. Led by professors DenBaars, Nakamura, Umesh Mishra and James Speck, the SSLEEC is a collaborative research center at UCSB, focused on the advancement of solid-state lighting and energy efficient power switching technology, using wide-bandgap semiconductors.